Roan Inish (Roaninish) is a low lying storm lashed small archipelago comprising five main islands and a large collection of tidal skerries. 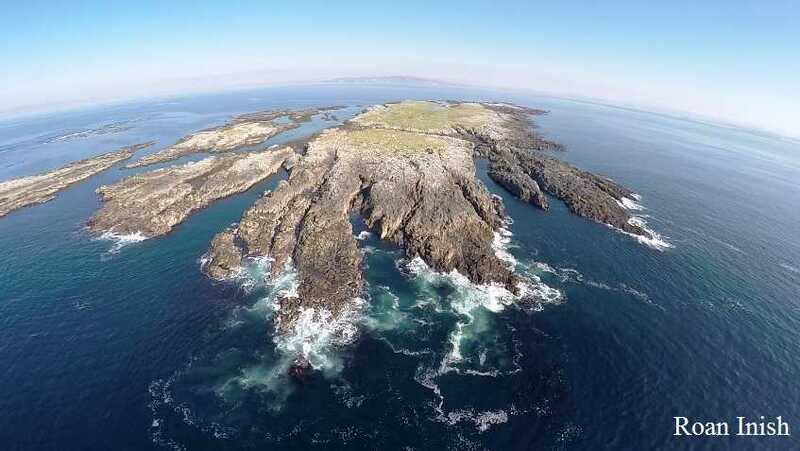 The islands are reasonably remote being 4 KM from the nearest point on mainland Donegal and sitting in the huge coastal basin from Arranmore to Tormore Island to the south. Easiest access to the islands is from Port Noo and involves a 5 KM sea passage to arrive on a perfect little sandy bay at the eastern end of the main island. The outlaying skerries at the eastern end of the island catch all incoming sea motion and it would not take much west to north west motion to make accessing the beach impossible or at the very least not safe.